I love using my cloth wipes. Right now I’m just using some burp cloths I cut and zigzagged, but I’d like to buy a nice, fluffy stack of cloth wipes soon! I had been wanting to try Lil’ Outlaws Rump Solution for a while, and I finally bought some! You can choose normal, light or extra light fragrance strength, heavy for .50 extra, or extra heavy for $1.00 extra. I chose the extra light strength. Even so, my package smelled great as I carried it from the mailbox. It came really fast! You get approximately 48 pieces for $10.50, and shipping is always free. I got exactly 48. Any way you choose to use it, Rump Solution is excellent for messy bums (and hands, and faces, and…)! Great for sensitive skin, too! I prefer to use my solution in a spray bottle. It takes me nearly 2 weeks to go through a cup of solution, making this very cost effective! . 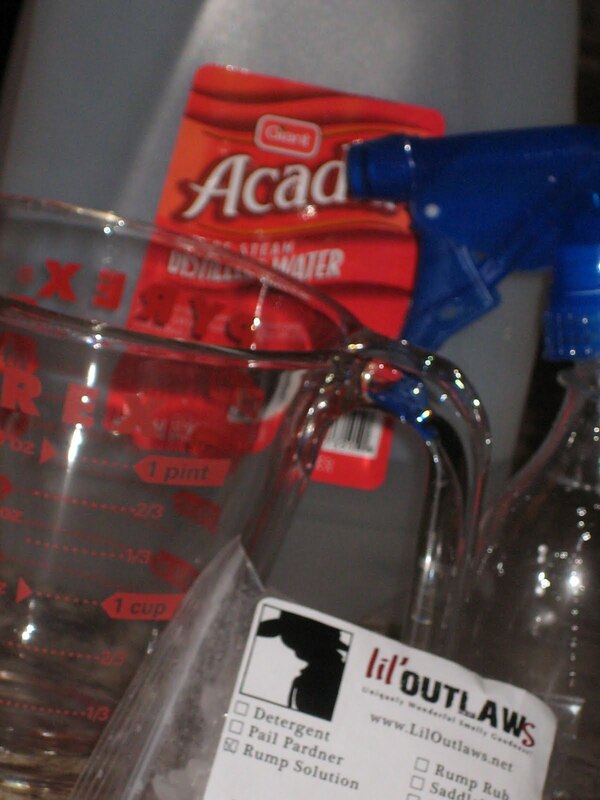 I use distilled water and 1 piece of solution per cup. 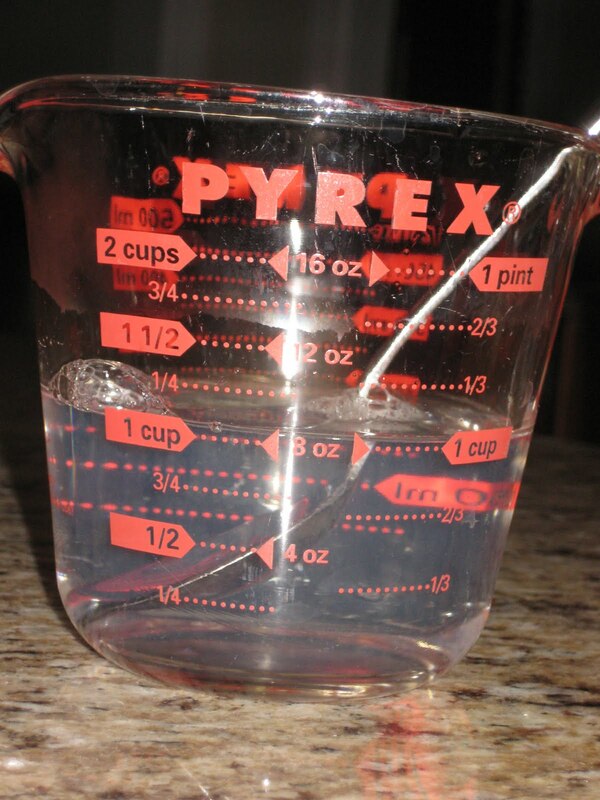 The star dissolved with just a few seconds of microwaving, so it could be used right away. The cubes I’ve been using until now take lots of microwaving, stirring and cooling before dissolved and ready to use. I had enough solution to fill my spray bottle and also my travel bottle. I have the extra stars in a drawer and the scent is strong enough that I get a whiff when I walk by. Mixed, the extra light strength is mild, but still pleasant. The solution cleans well and doesn’t cause any irritation on my son’s hiney. His skin is fairly sensitive; he gets a rash with angry red welts from disposables. If your little one is very sensitive, you can get unscented solution. Want some? Buy a bag or a sampler pack, which includes a 6 load bag of Detergent, 2 oz of Pail Pardner, a generous sample pouch of Rump Rub, and 5 pieces of Rump Solution. Want to win it? Stay tuned for a great giveaway later this week, which includes a full size bag of Texas Ranger Rump Solution! >This was full of great information! I just started making my own cloth wipes, but I really want to make some more out of flannel or something soft. I use my own solution, but these solutions sound wonderful! I may have to try some!